Cordoba Technologies of Washington state won a vector award from igus for the development of a new robotic toolbar that serves the center pivot irrigated agricultural industry. The award was presented at Hannover Messe 2018, the world’s leading trade fair for industrial technology in Hannover, Germany. igus GmbH, the Germany-based manufacturer of engineered plastics, distributes vector awards every other year. 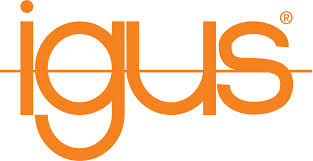 igus USA is based in Providence, R.I. Cordoba Technologies, based in Walla Walla, Wash. won the silver vector award in a competition that included 187 applications from 30 countries. The vector awards recognize the world’s most innovative energy chain applications. Cordoba’s product, Hummingbird™, is designed to reduce chemical use while increasing farm productivity. In the application, cables and hoses are carried in a micro flizz system from igus. The energy chain enables exceptional flexibility and a high degree of precision, allowing placement of sensors or spray nozzles over a crop, which supports sustainable agriculture practices. The silver vector award was awarded to a US Company, Cordoba Technologies Inc., for their multi-tasking tool in agricultural applications. Santiago Prandi, CEO of Cordoba Technologies Inc. and Philip Reh, COO of Cordoba Technologies Inc. at the vector 2018 award ceremony. The Hummingbird™ toolbar is a multi-tasking tool that allows precision placement of crop protection products in open fields. The product replaces expensive tractor-based machines by utilizing an existing asset already in the field. It can be equipped with sensors and software that collects data relating to crop health, nutrient levels, and detect diseases. Given the on-demand availability of the system, and ultra-high precision, only the minimum levels of crop protection products are applied on a case-by-case basis. It takes precision agriculture to a completely new level. The micro flizz system from igus carries cables and hoses while an energy chain travels in an enclosed aluminum rail. Cordoba Technologies, Inc. earned the award for its creative energy supply solution, and its positive impact on the environment. the arms and makes the fuselages more accessible despite the difficult geometries involved. representatives from specialist journals, industry and research. degrees, which allows the cabins to move vertically and horizontally. Engineers were challenged by the amount of cable required for depth and rotational movement. withstand rough conditions inside ocean buoys for many years.